IMDB has long been the “it” database for all things film and television. Many actors consider it a right of passage to have their name added to the database, with the hope that their credits will burgeon and casting professionals will flock to them. As mainly a Theater actress, I have had little experience or need for IMDB (yet…). However, recently I was told I had an IMDB page, which made little sense because I have no film credits besides some minimal work in Los Angeles. In AFTRA, SAG & AEA, my union name is “Sierra Rein,” and when I searched for this on IMDB this page came up. However, the one credit associated with this name - “The Professor” - has nothing to do with me (unless I’m having amnesia about playing “Rea”), so I figure this is another actor with my name…although that would be quite remarkable, since my name is pretty unique. Or, perhaps the person who submitted the information entered it wrong (either by mistake or on purpose). What do you know about reclaiming an “actor” page on IMDB, even if I actually don’t have any credits to reclaim it? Or do you think I should just let it be until I book something that has some “heft” to claim my name back on IMDB? What are my options? Hi, Sierra. Thank you so much for your question! It’s a common frustration, so I’m glad you’ve given me a chance to address it here. 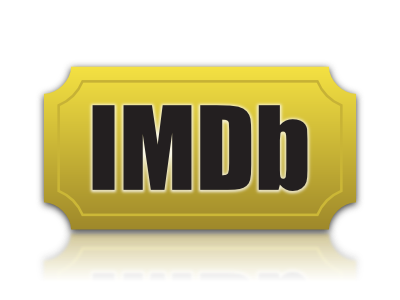 IMDB, as you know, is the leading database on film & television. It includes both union and non union work that has been premiered for an audience (paying to non paying.) As you mentioned, you have cleared your name through your union, which means that no one else can officially have your name. But because IMDB it features non-union work, there are situations (particularly with common names) where there are multiple people with the same name. 1) You can buy a membership with IMDBPro, which allows you to create your own page. When you create it, it will remind you that there already is a Sierra Rein listed, and it will ask you if you want to claim that one or create a new one. You'll have to create a new one, and you'll be listed in the system at Sierra Rein (II). 2) Rather than creating your own page, when you get your first IMDB-worthy credit, make sure that the producer knows that the Sierra Rein in the system is not you, and that s/he’ll need to add a new listing for you. This means that when s/he adds your credit, and a warning pops up that “there is already a Sierra Rein listed. Use this one?” s/he’ll need to add a new person to the system. There's not much else you can do, unfortunately. Hopefully one of the above will work for you. Let me know if you have any questions, and good luck with your career!